Leviathan’s Metamorphosis is an audiovisual odyssey that extracts brilliant color data from masterpieces of the past century to create an entirely new experience of art. Creative Directed by Bradon Webb, it employs his custom developed coding techniques, where he dissects a selection of modern art paintings into abstract digital forms. 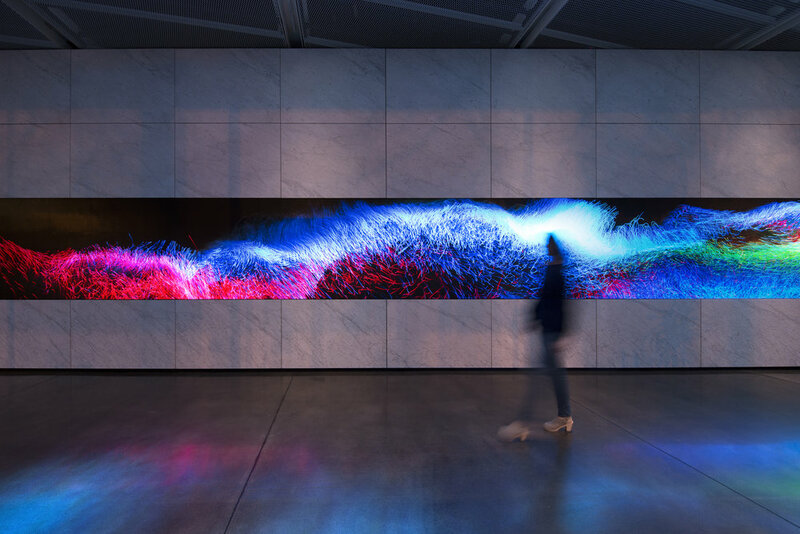 The generative visuals are set rhythmically to a composed ambient soundscape and evolve through time and space - transforming the unique LED canvas at Dolby Gallery into an immersive and meditative space. 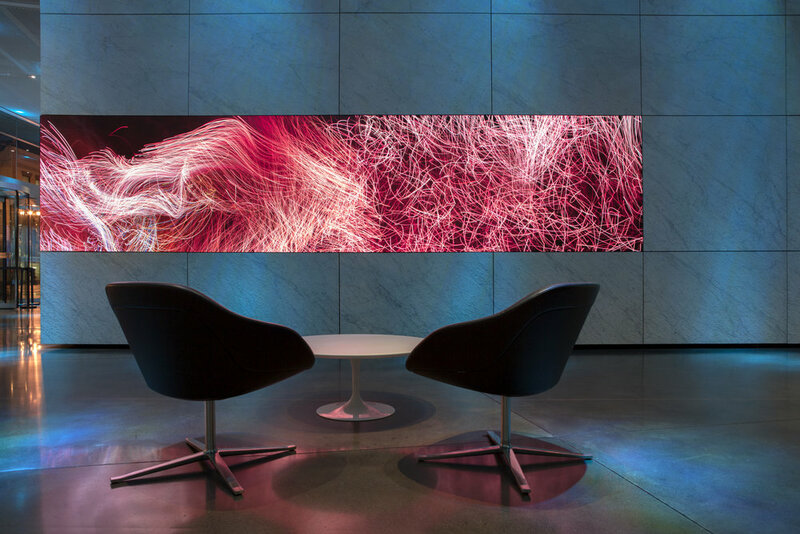 The synergy between sight and sound is custom-designed for the Dolby Gallery on Market St in SF. Rich color volume data, inspired by Dolby Vision technology, is brought to life along a with a sonic experience mixed in Dolby Atmos. Moving audio dynamically travel across 52 full-range speakers and 34 subs to immerse visitors in a fusion of art, sound, and science. This work is part of a series of Dolby exhibitions that explore the leading edge of audio and imaging technologies in partnership with contemporary artists. 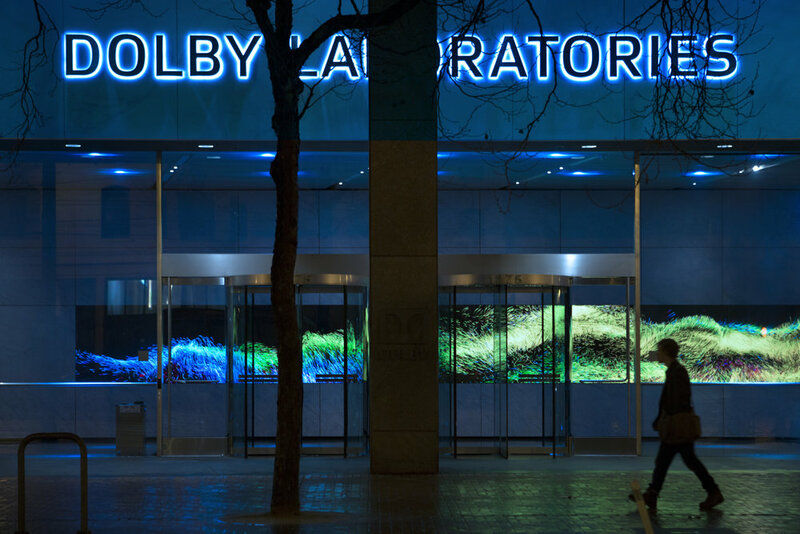 Learn more at dolby.com/art.